If You're in Delhi, You Must Experience 'Udyanotsav' or The Festival of Gardens at The Rashtrapati Bhavan. 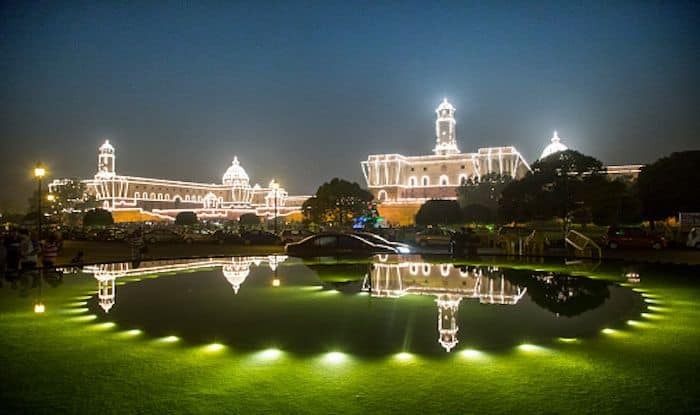 The annual annual gardening festival ‘Udyanotsav’ or the Festival of Gardens of the Rashtrapati Bhavan is almost here; the doors of which will be open to the public from February 5 – March 10 this year. This is perhaps the most special flower festival that happens in India; special because it takes place in the home the President of India. This year about 10,000 Tulip bulbs in eight varieties of different colours – all imported from the Netherlands – will be the highlight of the garden. The seven beautiful gardens of the Rashtrapati Bhavan will also have 159 varieties of roses, over 100 types of bougainvillaea, Asiatic lilies, daffodils, hyacinths and hundreds of other flowers blooming all at once. There will also be 50 varieties of trees ranging from moulsiri to golden rain. The most loved garden of them all is however, the Mughal Gardens. That’s because it was inspired by the gardens of Jammu and Kashmir and the Taj Mahal in Agra. Designed by Sir Edward Lutyens (who also designed the Rashtrapati Bhavan), the Mughal Gardens bring together English and Mughal architectural and horticultural traditions. Fun fact: the President employs 300 permanent and temporary employees to maintain and develop these gardens. Apart from the Mughal Gardens, the others that deserve a mention are the Rectangular Garden – for its sandstone fountains, moulsiri trees, canals and a gazebo. The Long Garden is where the popular varieties of roses, dahlia, marigold and salvia bloom. The Circular Garden is where you’ll find 30 different varieties of seasonal flowers and the tulips along a fountain. The Herbal Garden is where you’ll find herbs that aid natural remedies such as ashvaghandha and bramhi that are known to treat conditions such as memory loss and epilepsy. The Musical Garden is where all the lights, colours and music come together. And last but to the least, the Spiritual Garden, is where you will spot trees associated with different religions from India.